The Korea Times cites sources from a "first-tier" Apple supplier in its report that claims a 12.9in Retina display is currently being made in Korea as Apple prepares to launch a new iPad early next year. According to the report, Apple is "increasingly interested" in launching a bigger iPad, because it expects tablets to eventually replace PCs. 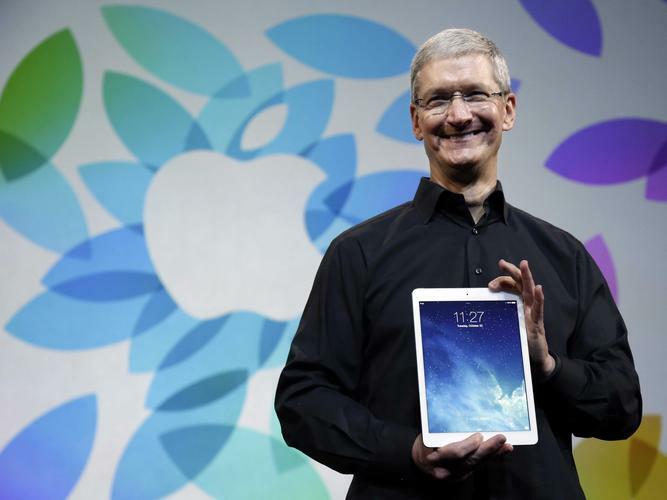 Additionally, the source believes that the bigger iPad will boast "ultra high-definition" picture quality. Business Insider suggests that the 12.9in Retina display could actually be destined for an iPad-MacBook hybrid, though we're still sceptical about such device after Apple CEO Tim Cook compared combining a tablet and a laptop with combining a toaster and a fridge, which is "probably not going to be pleasing to the user," he said. However, that was back in 2012 and we've seen Apple change its mind about products before. For example, the late Steve Jobs once said you'd need to file down your fingers in order to successfully use a 7in tablet. A few years later, the iPad mini arrived. This week's speculation adds to previous rumours about a bigger iPad, which have been circulating the web in recent months. Earlier in November, reports also claimed Foxconn was testing production of a 12.9in iPad ahead of a 2014 launch.